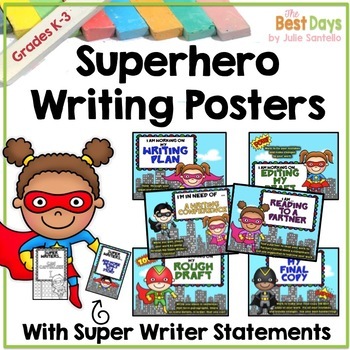 This SUPER poster sets lets you and your students understand what the writing processes is AND keep track of where everyone is at the same time. Each poster can be used as a tracking system by either attaching ribbon onto the poster and using clips with student names on them or use on a white board with magnetic names! Just print them out and get started! The Writing Statement cards can be used as the students write or while they are waiting for their writing conference. 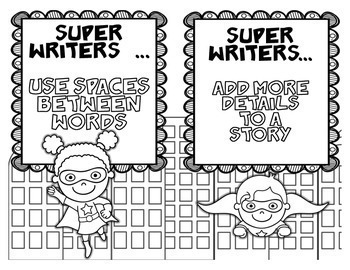 The Writing Statement cards also come in black and white line art so that students can have their very own set to color and keep at their desks! 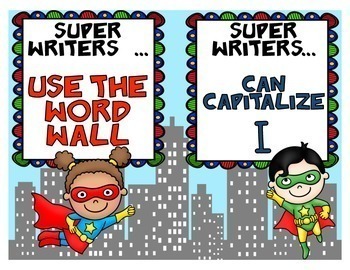 A truly SUPER set that will add a finishing touch to your SUPER classroom! Please be sure to follow me for new products, 1/2 price for a limited time! Also, all TPT Teachers love feedback! Please take a minute after you download to share how you feel about any product you download! Focus Wall Super Hero Theme. Super Hero Basic Skill Pack . My Super Hero IS Super! . Super Hero P.O.W.E.R. Character Education Packet. Super Hero Scientists Science Posters. 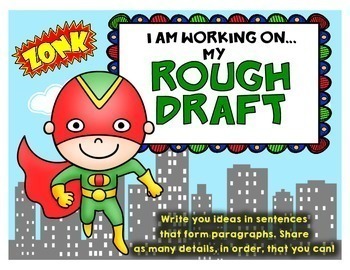 Super Hero Classroom Rules Banner (Free! ).